Pour a mixture of a third cup honey and 2 1/4 cups milk to your bath. Treat minor cuts and wounds with honey’s antibacterial and antifungal properties. Apply a small amount twice daily to a wound or burn to speed healing process. 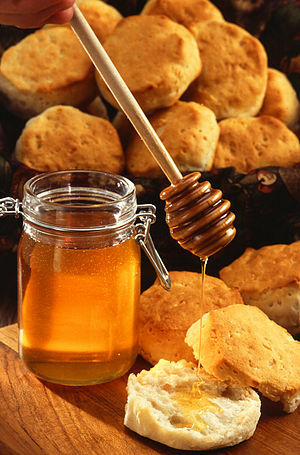 Help a hangover by spooning a few tablespoons of honey on toast for breakfast. The fructose speeds up the metabolism of alcohol.